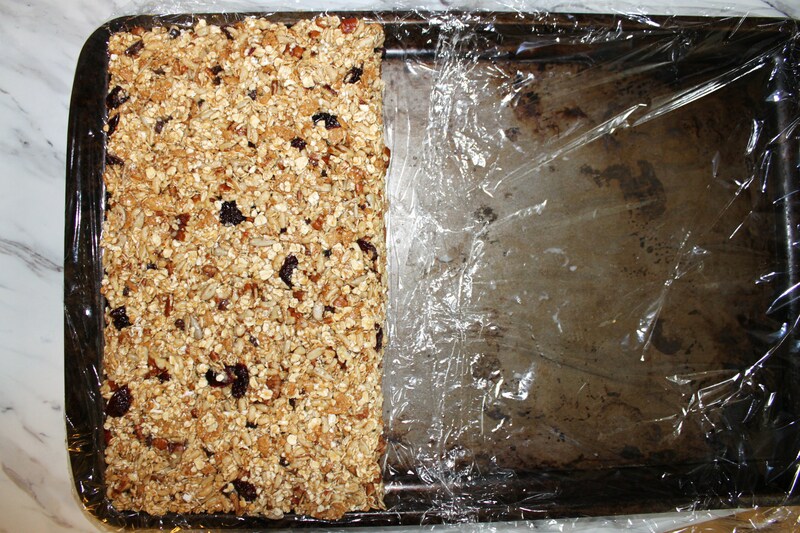 When I bought Angela Liddon’s “Oh She Glows” cookbook I made her bars, and ever since I’ve been making variations of them for my family. My kids are always wanting snacks…it’s a phrase my oldest son uses probably 10 times a day, and I know for my own peace of mind and their well being that I want to have healthy options available for them. Some days I feel like I am running out of ideas! But if I’m lucky to have made a batch of these, we can grab them when we are running out the door so they can have a snack in the car. You can totally play around with the butter, nut and seed variations in this recipe, just to try to keep the amounts the same and the finished product should turn out fine. For a nut free version for example , try using sunflower seed butter (Try Superbutter from Costco!) instead of peanut butter and pepita seeds instead of pecans. For this bar, I used the following…. Add the first 8 ingredients in a bowl and stir to combine. In a saucepan over medium heat, combine the peanut butter, brown rice syrup and vanilla extract. Heat stirring occasionally until it bubbles a little bit. Remove from pan and add vanilla. Poor this mixture over your cereal mixture and mix with a spoon to completely combine so everything is coated. Put baking sheet with mixture in the freezer for about 15 minutes. Remove from freezer and lift the entire piece off the baking sheet using the plastic wrap onto a cutting board. 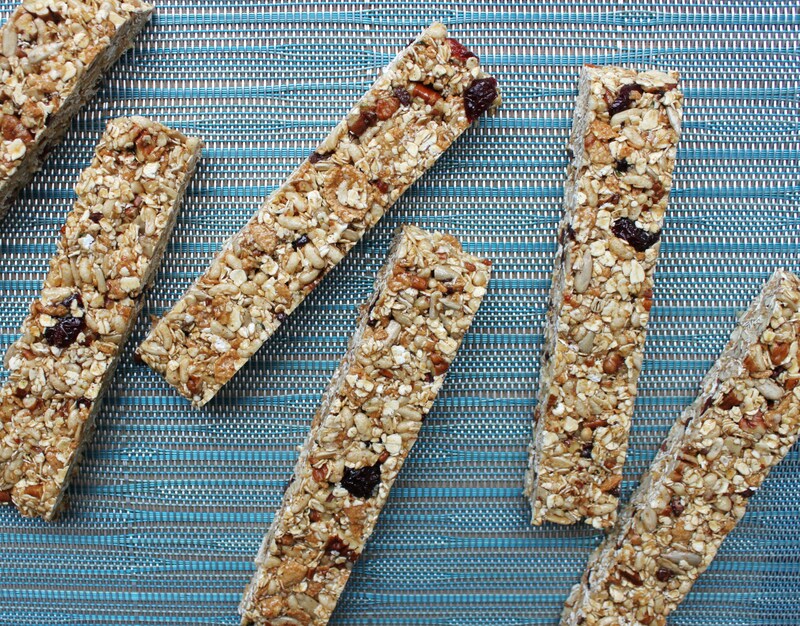 Use a very sharp knife and cut into bars. Store in the fridge in a container….bet they won’t last the week!